Philip Brown is a Managing Director within Citi's EMEA Capital Markets Origination business in London. Philip's team looks after Citi's primary issuance relationships with European sovereigns and public sector agencies as well as the world's Multinational Development Banks. In addition to his responsibility for Citi's SSA DCM business, Philip coordinates Citi's global green and social bond origination, working closely with Citi's environmental banking team and other product partners across the firm. 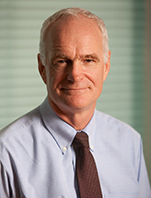 Philip joined Salomon Smith Barney from Nikko Europe in September 1998.